The “One Commune One Product” (OCOP) international fair will take place at the Saigon Exhibition and Convention Centre, Ho Chi Minh City from April 17-20, with a wide range of excellent handicraft products on display. Head of the OCOP program management office Dang Van Cuong said that the event, held by the Ministry of Agriculture and Rural Development in collaboration with the Vietnam Handicraft Exporter Association (Vietcraft), and Japan’s “One Village One Product” (OVOP) program, will feature 600 pavilions from cities and provinces across the nation. Furthermore, it will attract the participation of representatives from the OCOP program in 20 countries and territories like Japan, the Republic of Korea, Thailand, China, and Kenya, among others. According to Cuong, the event aims to popularise made-in-Vietnam handicraft and new designs by Vietnamese handicraft villages among domestic and international friends, while promoting trade connections between Vietnamese localities and foreign partners. At the same time, a forum connecting the OCOP global network will be organised, drawing the attendance of state managers, import and export firms from 30 countries and territories, as well as international organisations in Vietnam. It is expected to serve as a venue to enhance cooperation between countries carrying out the OVOP or OCOP programs and promote them across the five continents. 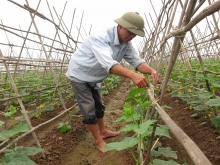 Vietnam initiated the expansion of the OCOP network to the world. To date, 43 countries have approved the OCOP programme, 20 of whom have joined the network. 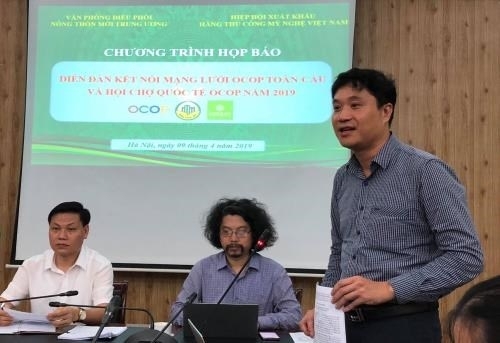 The OCOP program is being carried out in all localities across Vietnam for the 2018-2020 period, aiming to promote rural economic development toward increasing internal strengths and values. It focuses on developing high potential agricultural and non-agricultural products, and services in each locality based on the value chain. Groups of goods and services defined in the programme include food (fresh and processed farm produce); beverages (alcoholic and non-alcoholic drinking); medicinal herbs (products made from herbal plants); fabric and textiles (products made from cotton and yarn); souvenirs, furniture, and decorations (products made from wood, fiber, rattan, metal, and ceramics); and rural tourism services and sales (services for sightseeing, tourism, study, research). 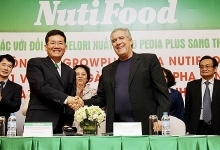 The program is implemented at an estimated cost of 45 trillion VND (1.94 billion USD), which will mostly be mobilised by society, including enterprises, cooperatives, and production households; as well as loans from credit institutions, investment funds, SME development funds, funds for developing cooperatives; and funding from international organizations.